Vinyl and stucco will prove to be some of the better installations you could get for your Long Island home, as they will provide a beautiful exterior as well as a number of benefits. These benefits include protection from outside moisture, termites, and other harmful problems. To continue enjoying the benefits that your vinyl and stucco can offer, you need to keep these installations in tip-top condition. 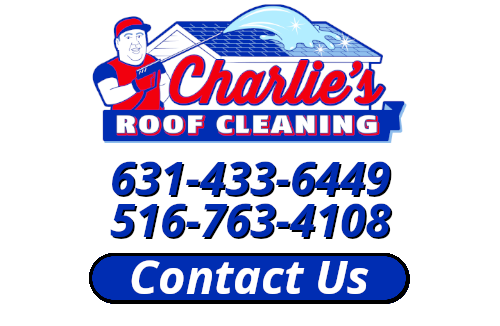 Fortunately, doing that is simple: Just call the pressure washing pros at Charlie’s Roof Cleaning. With our vinyl and stucco cleaning work, we’ll help your Long Island home enjoy these installations for many years to come. Over time, your vinyl and stucco exteriors are bound to begin looking far from their best. Mother Nature will come at them with intense sunlight, heavy rains, and all other elements, and in time, your vinyl and stucco could look overall unsightly. Worse still, they could begin to develop unhealthy mold and algae growths. Fortunately, you don’t have to deal with these unsightly and unsafe problems. Instead, you can call for our quality stucco and vinyl cleaning work. We’ll keep them in great shape so that your home looks its best and you and yours feel your best. At some point, you may decide that it’s about time to put your Long Island home on the market. When that time comes, you need to take steps to ensure that your home boasts excellent curb appeal and resale value. Of course, to do that, you simply need to give our pressure washing pros a call. We can get your home’s overall exterior cleaned up thanks to our vinyl and stucco cleaning services. Combined with our other services such as a roof cleaning, this service can go a long way toward making your home stand out while allowing it to command the highest possible price. If you would like an estimate for roof cleaning or power washing in Long Island, please call 631-433-6449 or complete our online request form. They did a great job and even went out of their way to take photographs of everything for the insurance company. Excellent results. Removed the ugly mildew stains from my white roof. Who knew that white roofs get ugly? They did a good job and the roof looks 100 percent better.